This is another variation of Poha, you can call it batata poha or aloo poha as we will be adding aloo in this recipe. If you are using sugar as one of the ingredients, this dish turns into Gujarati style Poha. Adding sugar is completely optional. You can skip it. 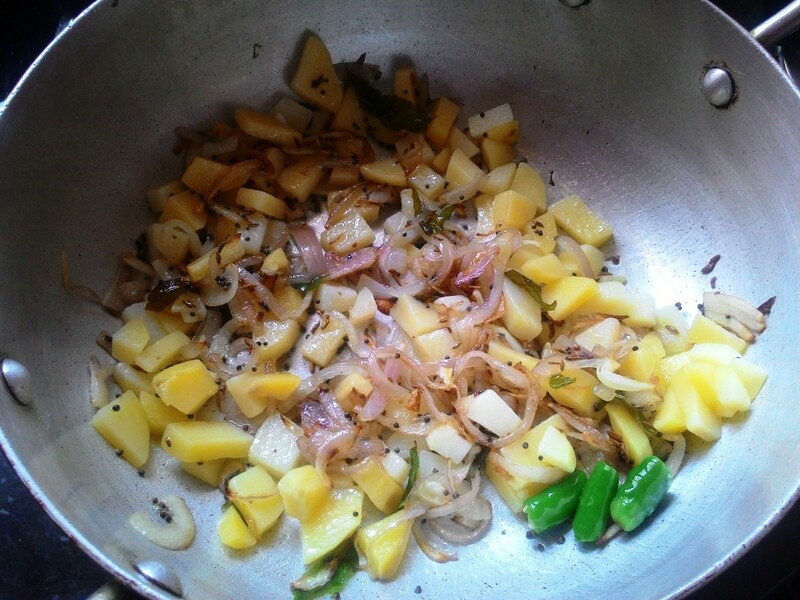 Kids too love this fried aloo poha recipe. Serve them with sauce, they will love it. Maharashtrians serve poha with coconut chutney. They call this dish as batata poha or sometimes kanda batata poha. Kanda is onion and batata is potato or aloo. 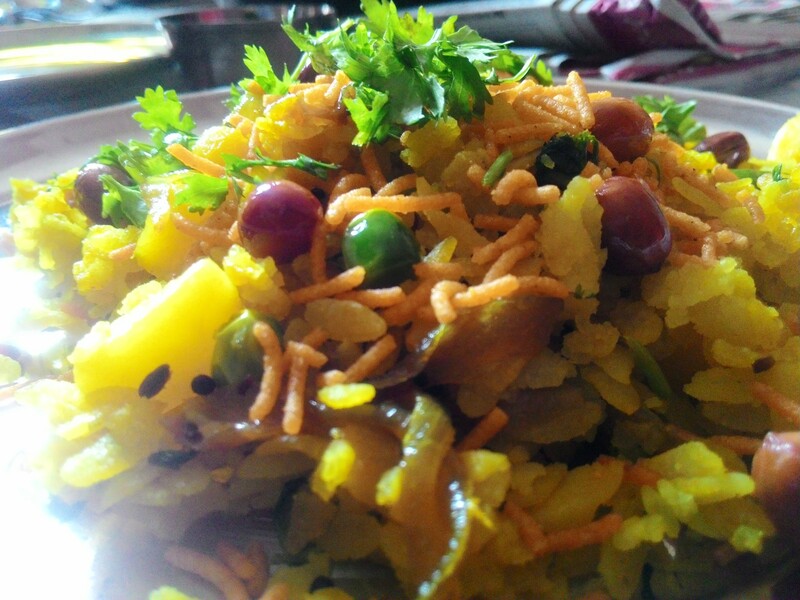 Here is the recipe for the another easy variation of poha. Wash poha in normal water and keep it aside. Take a wide-mouthed pan or kadhai and pour oil in it. 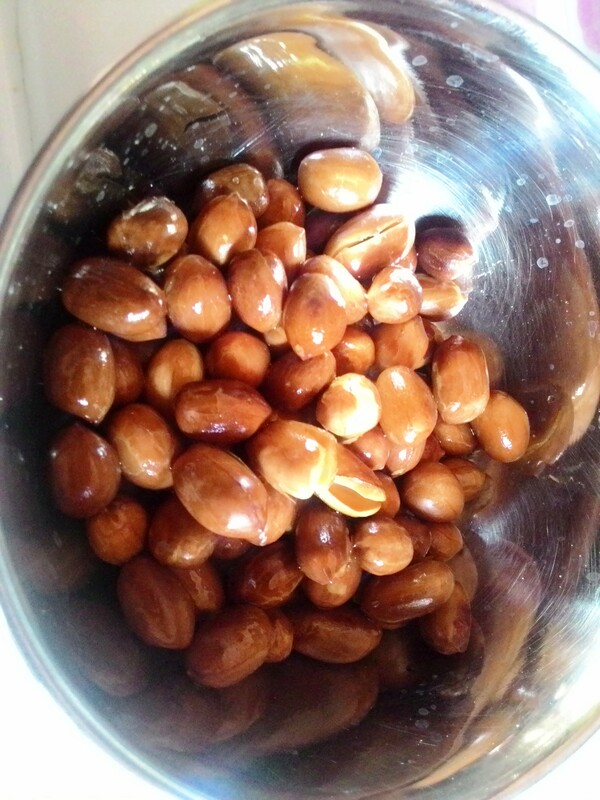 Heat oil and fry the peanuts till pinkish brown. 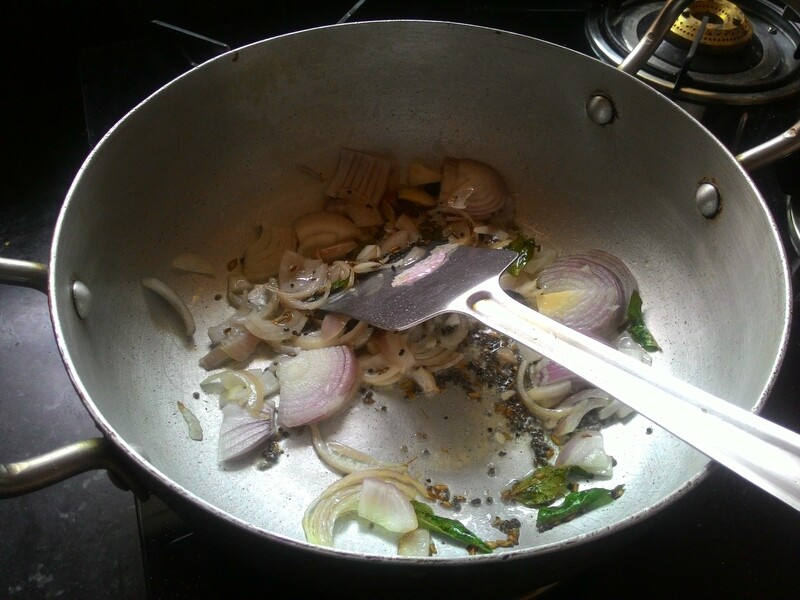 Once done, keep the peanuts aside and in same kadhai or pan add mustard seeds or rai, curry leaves or meethi neem, fry them for 20-30 seconds; add onion. 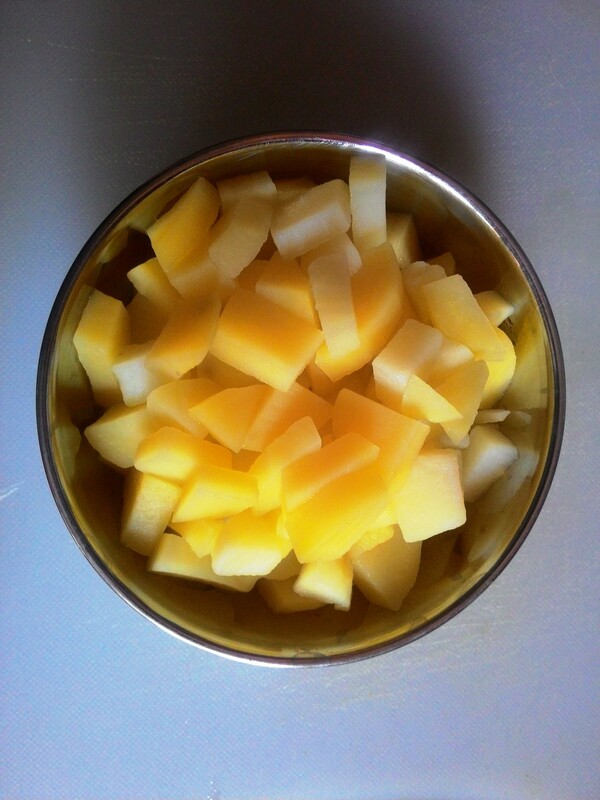 Once the onion softens, add boiled potato and fry for 2 minutes. Now add boiled peas. Stir fry for around 3 minutes. Now add all the masala – haldi, garam masala, saunf, green chilli and salt in kadhai and mix well. Saute for at least 40-50 seconds. Add half coriander leaves now and save rest for garnishing. Add poha or flattened rice; mix poha with the masala very well. If needed you can sprinkle water. Add sugar and stir again. Close the lid of kadhai for 5 minutes. Lower the flame. Add poha, mix it well with masala and then add sugar. The poha with fried aloo and peas is ready for garnish. Put off the flame, take the poha out in a serving bowl and garnish it with sev (lahsuni or aloo sev), dhania patta (coriander leaves), peanuts, tomato sauce and pomegranate. Tomato Sauce and pomegranates are optional. Fried aloo matar poha is ready!